Blockchain and autonomous vehicles is a perfect match. The combination of both concepts facilitate monetary transactions and mitigate the risks of hacking. Self-driving vehicles, which once appeared in the sci-fi movies only, are now becoming an everyday reality. We see a sudden hype in the concept of autonomous cars, as industry leaders are on their way to redefining transportation. The market size for autonomous vehicles is projected to grow to 6 billion U.S. dollars by 2025. Now that’s a huge number, right? As a result of tremendous growth and innovation in the transportation sector, we’re awaiting a future where we never face road congestions, drastically containing the cost of transportation. It’s true that the autonomous vehicles are poised to replace the existing vehicles in a few years from now. However, have we thought about this – in a future of driver-less cars, where you will possess a vehicle that needs no driver, how will you make payments for the service availed? Blockchain helps to overcome this dilemma. In this article, we will attempt to explain how blockchain and autonomous vehicles are faring together. What are the Limitations of Driver Less Vehicles? Due to the limitations suffered by autonomous and driver-less vehicles, rising startups are leveraging the power of the blockchain technology. How to pay such vehicles for their service? What if cyber criminals hack the database of a driver less car? Imagine a future where everything is delivered via driver less cars with no humans involved in the delivery. This poses a serious question on how the payments will be facilitated, as no humans are involved. Another burning issue with the autonomous vehicle is that of cybersecurity threat, as we have mentioned earlier. The driver-less cars are embedded with high-quality cameras and sensors that gather tons and tons of data. Such data needs to be saved securely so that hackers do not corrupt the database. Not having the right technology will have a negative impact on the safety of both, the vehicle and the passengers. Self-driving cars function by using sophisticated machine learning algorithms to ensure safety and security of the car and its passengers. These algorithms go through millions of hours worth of user driving data and recognize patterns which are later used to make driving decisions. But driving is not all that these autonomous vehicles are going to do when they are production ready. In fact, autonomous vehicles would need to handle all their actions – like being able to pay for their fuel recharges, parking and other basic functions. Blockchain introduces the concept of a transparent and decentralized ledger where data can be verified and stored securely. This technology could help the driverless cars to verify the accuracy of the data when they collect it from the environment, meaning that the room for error would be very minimal. How is Blockchain Relevant to Autonomous Vehicles? Taking into account the volume of digital data that it is gathered, it is obvious that there is a need for the right policies that take care of the safety of such data. One of the best solutions for such a requirement is blockchain. Thanks to its distributed ledger, it first validates and then stores the data that comes in from various sources. Due to this feature of blockchain, the probability of hackers hacking the database becomes negligible. Besides, blockchain also facilitates monetary transactions by allowing users to activate smart contracts to make payments automatically. For example, let’s say you want to charge your vehicle. By using smart contracts on blockchain, you can directly make the payment to the charging station. 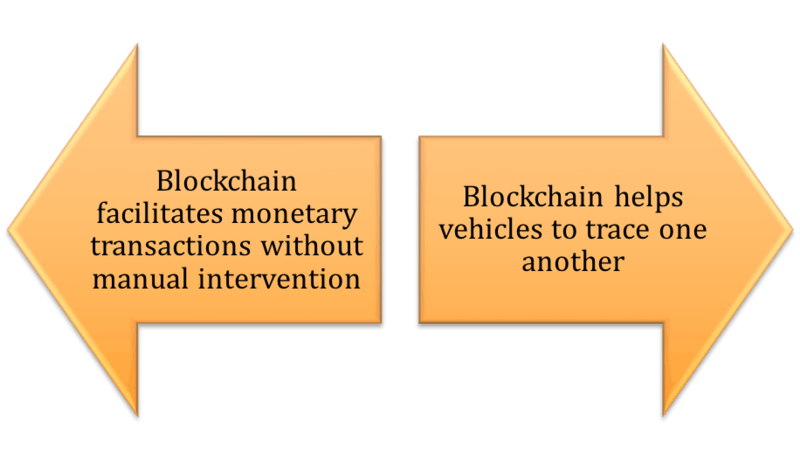 Furthermore, as autonomous vehicles travel to different places, blockchain records data such as the traffic conditions and climatic conditions. Such data is accessible to other vehicles who are on the blockchain network, helping autonomous vehicle systems to become more reliable and faster. Toyota already uses blockchain for their driverless cars with the aim to enhance the safety and convenience that usually comes with autonomous vehicles. Next article Mobility as a Service: does Australia want it?